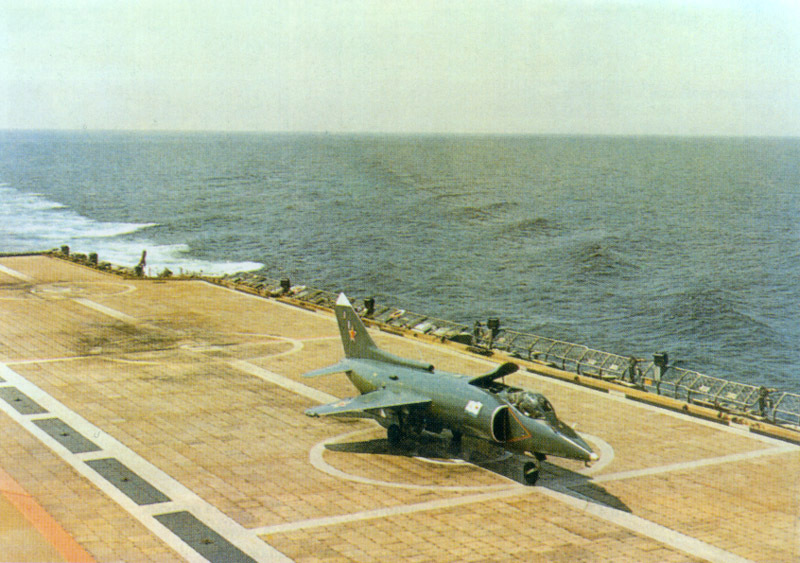 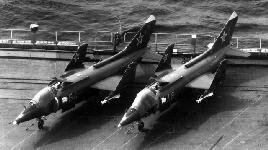 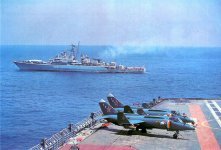 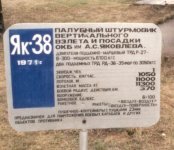 Production of the Yak-38 Forger began in 1975 making it the world�s second operational VSTOL aircraft, after the Harrier series. 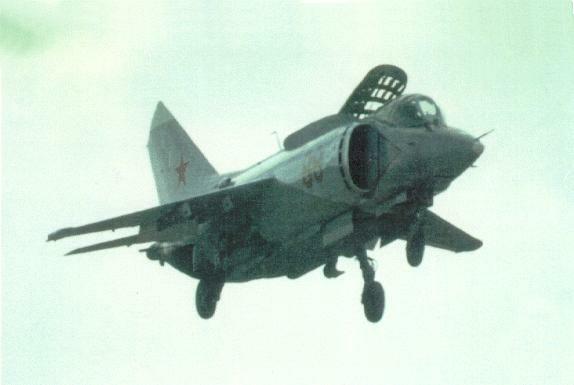 The aircraft's wings are mid-mounted, delta-shaped with blunt tips and a negative slant. 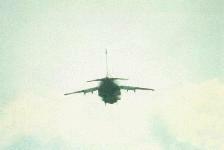 There is one turbo engine and two lift jets. 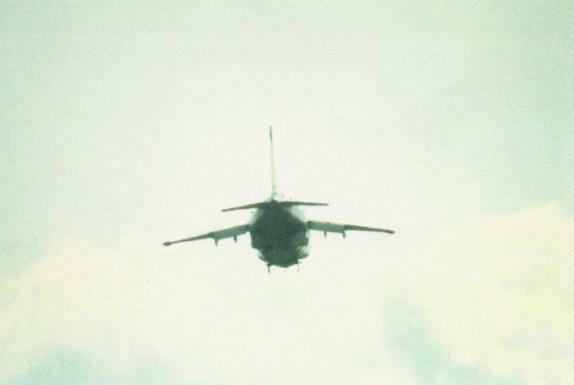 There are two exhausts on the bottom of the rear fuselage. 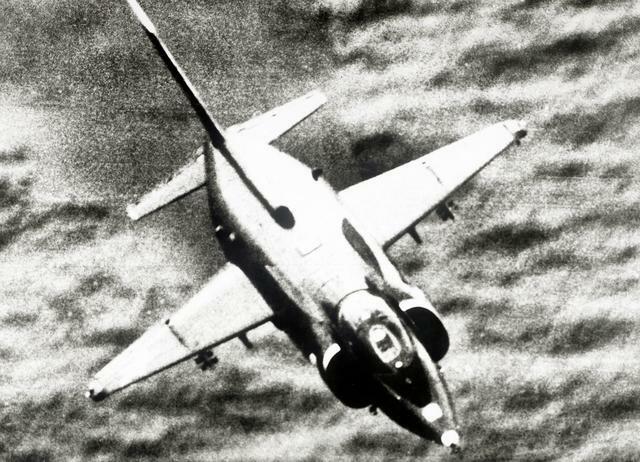 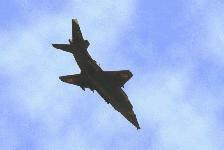 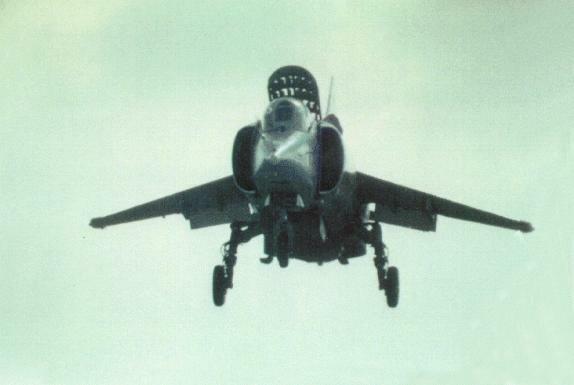 Large, semicircular air intakes are below the cockpit well forward of the wings. 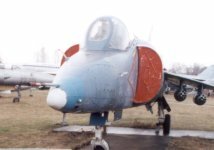 The fuselage is long and has a pointed nose and tapered tail section. 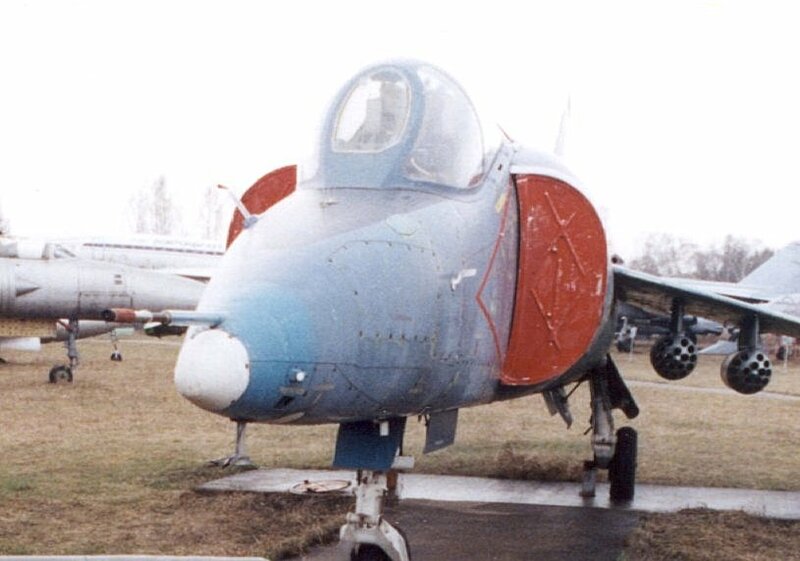 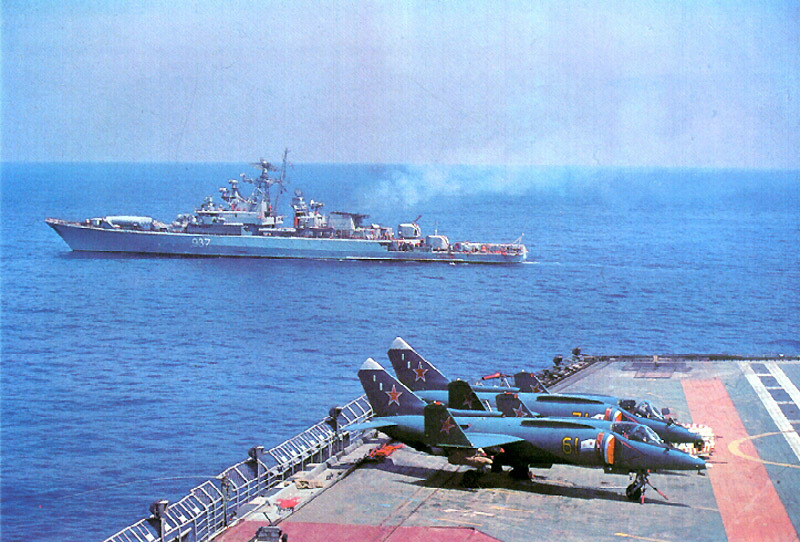 The Yak-38 has a bubble canopy. The tail is swept-back and the tail fin is tapered with a square angular tip and a small step in the leading edge. Flats are mid-mounted on the body, swept-back, and tapered with a negative slant.